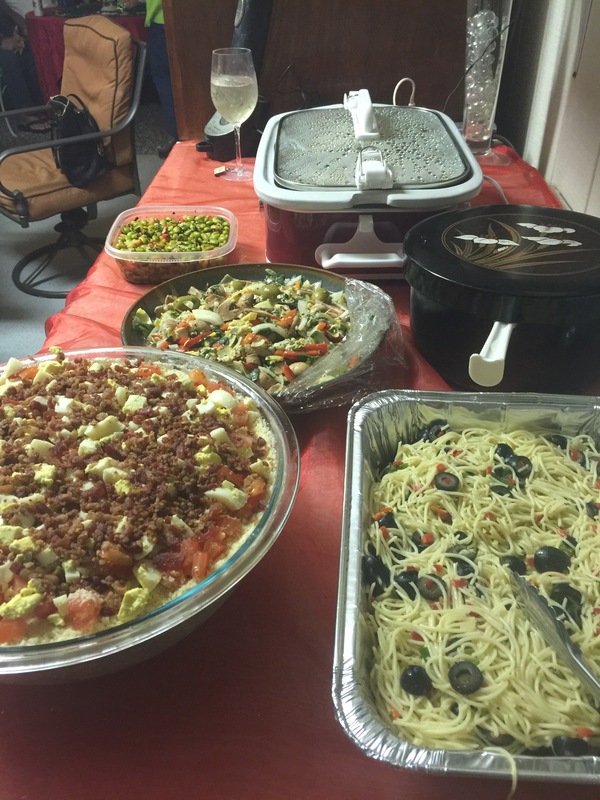 One of my good friends hosts a very special holiday party for friends each year. 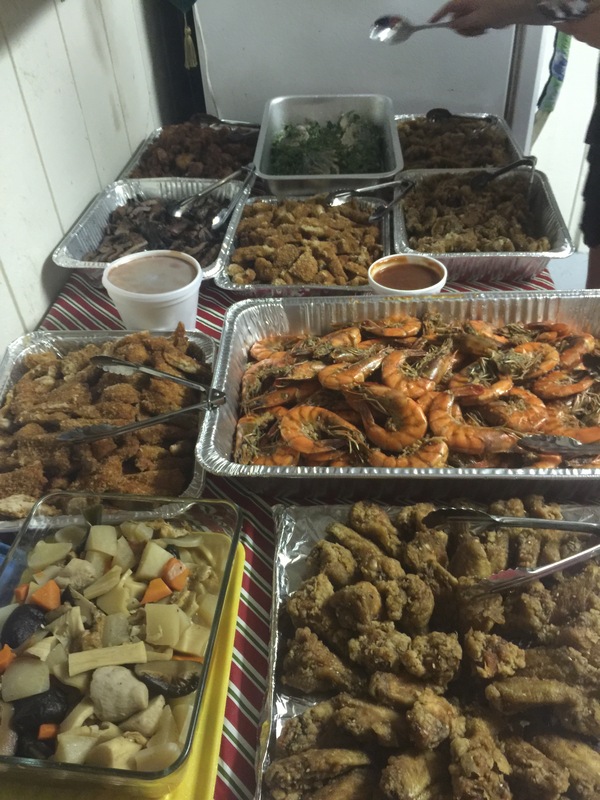 Like so many Hilo parties, there was so much food! We all ate more than our share and then took home more than our share at the end of the evening. 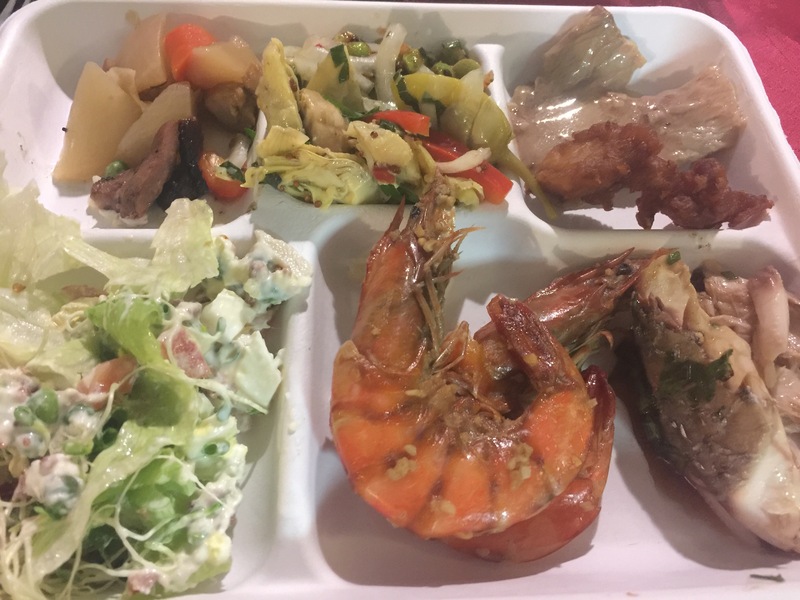 Nishime, overnight salad, antipasto, pasta, poke, sashimi, shrimp, roast pork, poke bombs, tonkatsu, grilled chicken, Chinese-style mullet, spicy edamame salad… and so many desserts! 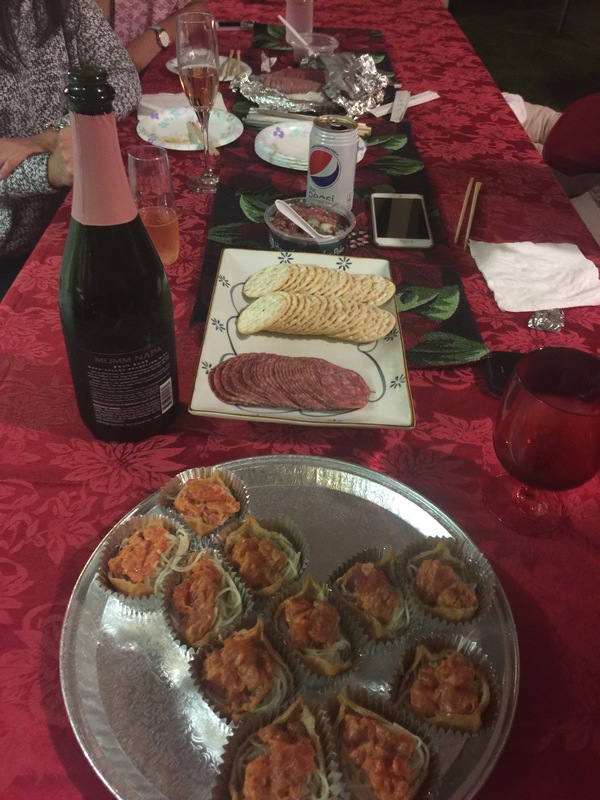 The consummate hostess always plans great games for the holiday party and this year was no different. The men and women challenged each other to a game of Family Feud. The hostess polled 40 people for their answers prior to the evening. It was so much fun to hear the answers to questions like, “What word or phrase goes with the word belly,” or “What celebrity would you like to trade lives with?” So much laughter and side commentary from the guests as we hear the answers to such seemingly simple questions! At the end of the evening, we not only get to go home with delicious leftovers; this hostess gives each guest a bag full of amazing party favors! 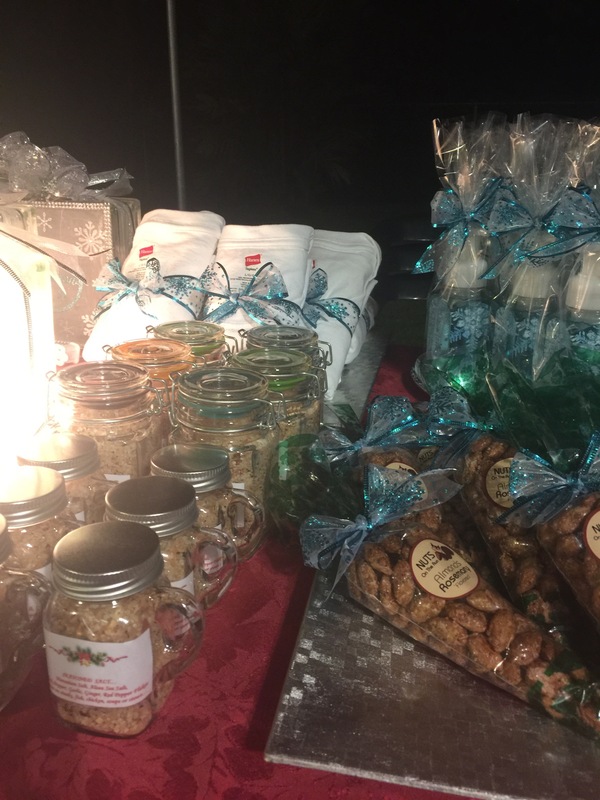 This year, we took home a homemade lighted holiday decoration for our homes, a t-shirt, seasoned salt, candied almonds, holiday soap, a notepad and pen, and a reusable bag! The food, games, and gifts are awesome, but the most special part of this annual gathering is staying connected with our friends. Be sure to spend time during this hectic season spending sharing special moments with your friends and family. ← Most Irresistible Shop in Hilo~Living Hilo Style Brunch and Shop Event!